Open Your Eyes to the World: Learn Chinese! How happy we are, to meet friends from afar! All students who are interested in Chinese culture and language are welcome to join the Chinese Club. 40 million people around the world are currently learning Chinese with enthusiasm and success. If they can, you can too! See the course descriptions here! 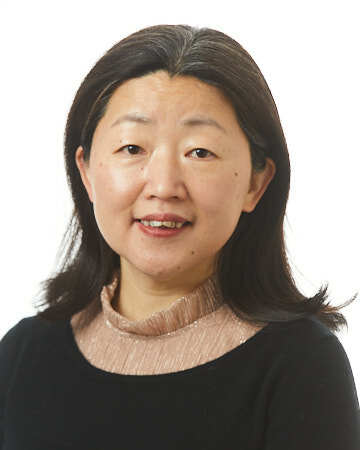 9:50 a.m. to 10:50 a.m.
Dr. Xu Hongying got her PhD in second language acquisition and language pedagogy and has had over ten years of Chinese-teaching experience with college students. Her research interests include the acquisition of linguistic aspects by adult language learners and language pedagogy. For more information about upcoming events, visit the Chinese Culture Club page! Two students who represented UWL, Kyla Delaney from CHI202 and Cylus Young from CHI102, participated in the 2017 U.S. Midwest Chinese Bridge Speech Contest on April 15 at UW-Madison. Students from nine states participated in this contest. Congratulations to Kyla Delaney for receiving third prize in the 2nd year group!